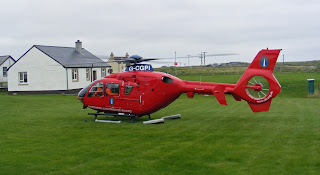 Whilst not a ship, the Northern Lighthouse Board helicopter G-CGPI still exhibits marine connections! Seen here landing beside the Dark Island Hotel in Liniclate 11 September 2013. 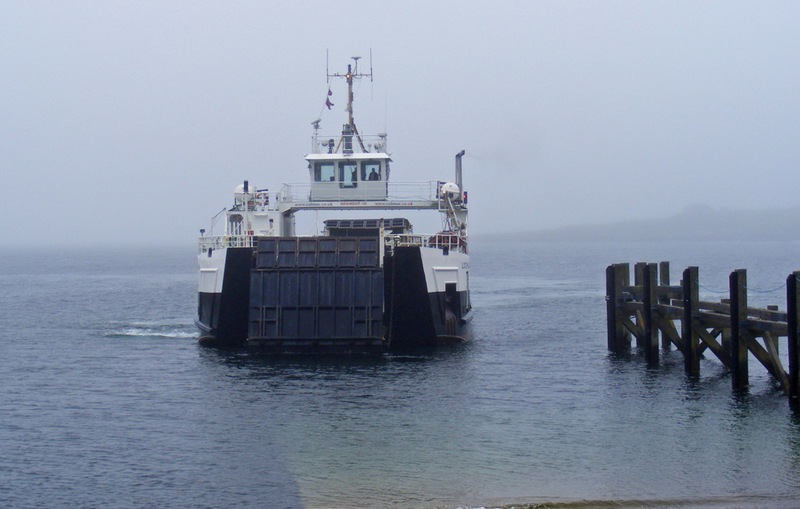 Caledonian Macbrayne's Loch Alainn arrives at Eriskay on a dreich Thursday morning 12 September 2013.